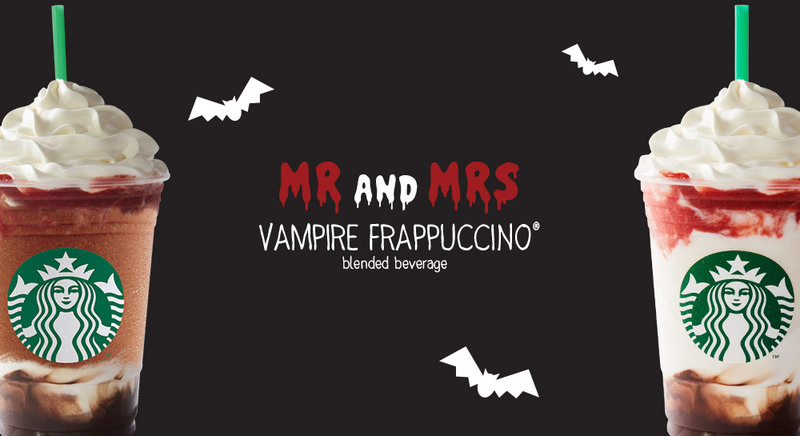 This Halloween, in addition to the popular Zombie Frappuccino, Starbucks locations in the UK, Singapore, Sweden and Norway are celebrating the spooky occasion with special Mr and Mrs Vampire Frappuccinos! 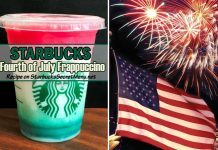 But fear not US and Canadian friends! 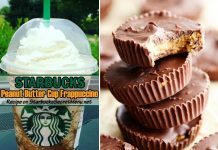 We have recipes for both that can be ordered across North America. 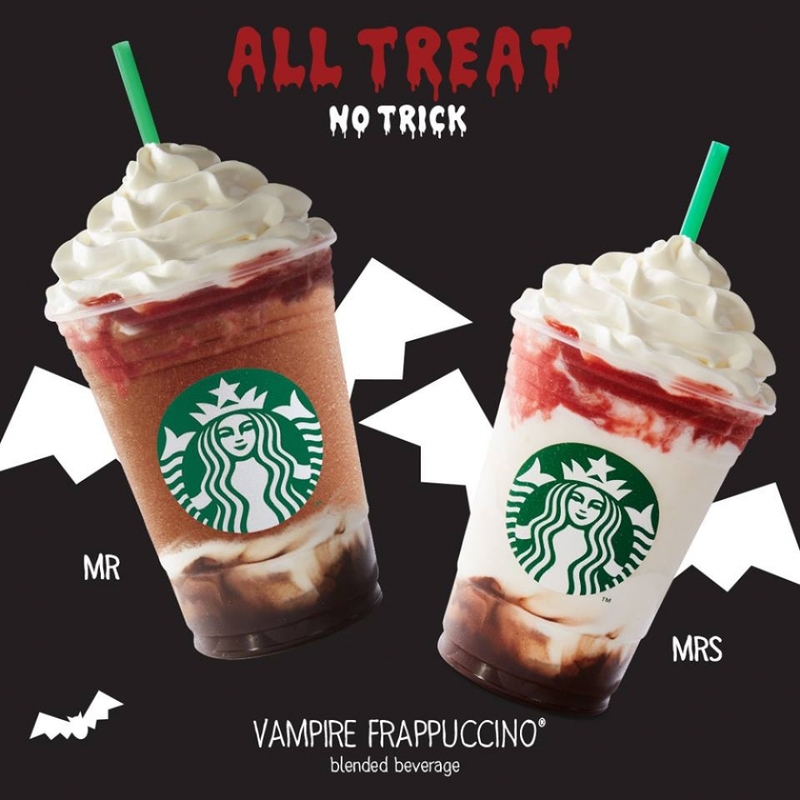 While the pair are only officially available for a limited time run until October 31, note that the ingredients are available year round and you can enjoy a Mr Vampire Frappuccino or a Mrs Vampire Frappuccino any time you’d like. 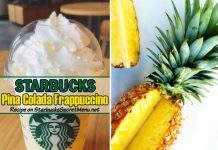 You’ll just have to order it by recipe. 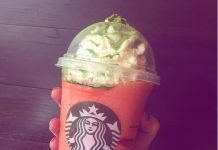 Quite fittingly for the occasion, the drinks are chocolate flavored with a dash of bloody fun in the form of strawberry sauce drizzle. 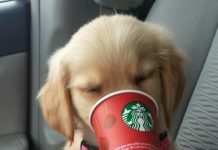 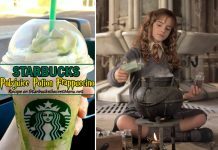 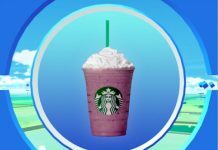 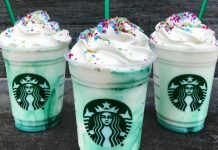 According to Starbucks, this frightfully fun drink is the perfect indulgence to enjoy the spooking season! 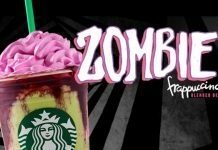 Enjoy these fangtastic beverages this Halloween season or all year!